Vietnam has long become one of the most sought-after countries for overseas property investors, with the fact that Ho Chi Minh City (HCMC) has demonstrated to the world its rapid pace of growth. To help alleviate the jam-packed city, Thu Thiem is planned by the government to become the next CBD, the “West Kowloon” of HCMC, with major infrastructure projects on-going to tout the place as the center of finance, commerce, and international hub for businesses. With progressing infrastructure projects and development, Thu Thiem will eventually unveil its unique identity to serve the residents to meet their every needs. Waterina Suites is a joint venture property development by the world-class developer Maeda Corporation (Japan) and Thien Duc Company. Nestled at the heart of District 2 which is known as the city’s expatriate area, Waterina Suites is situated at an unbeatable location which is prioritized among investors. An array of amenities is available only minutes away – renowned international schools, the “SOHO” area of HCMC, restaurants, bars, luxury hotels, supermarkets, malls and cinemas. Designed by the world-famous Mr. Kengo Kuma who also is lead architect of New National Stadium – Japan, Waterina Suites stands at 25-storeys high with a podium composing of 98 luxurious suites of penthouse, duplex and single floor units. It offers a wide range of state-of-the-art facilities including its magnificent infinity swimming pool overlooking Saigon River, business centre, bar, library and restaurant for residents to indulge in a luxury lifestyle. 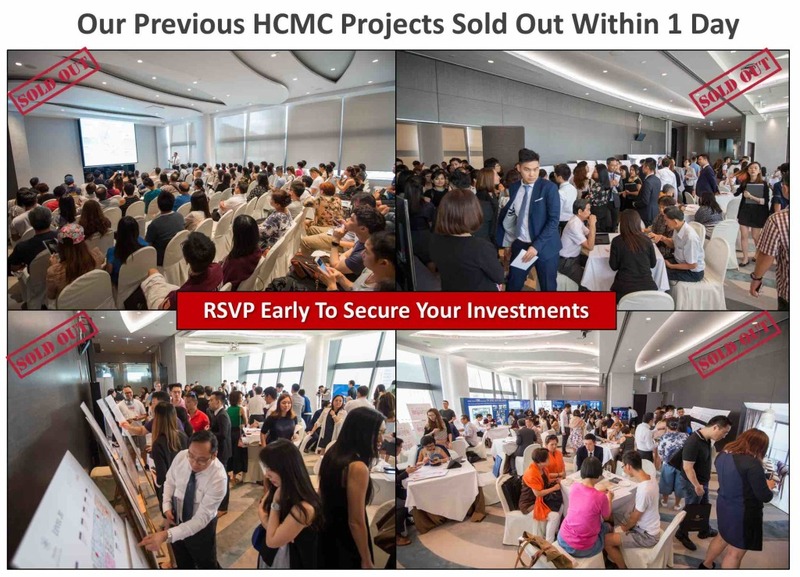 Booking of the units can be done in Hong Kong without the need to travel to Vietnam – come to our event to find out more!